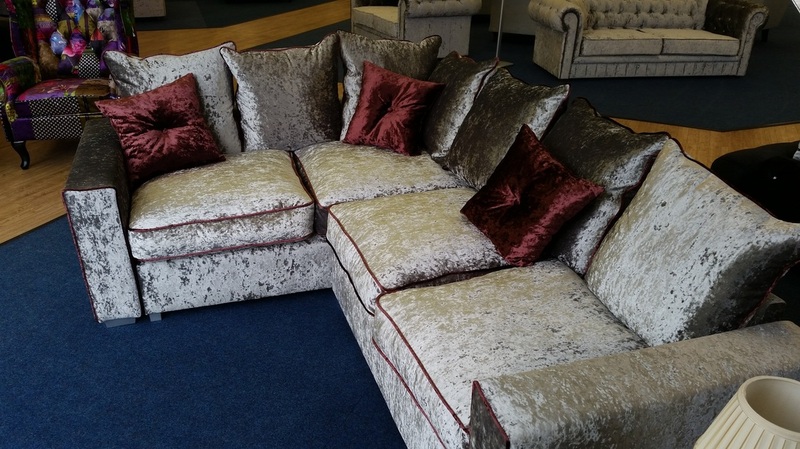 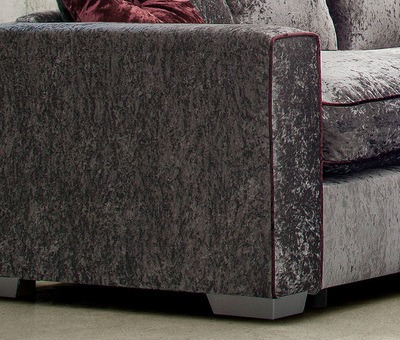 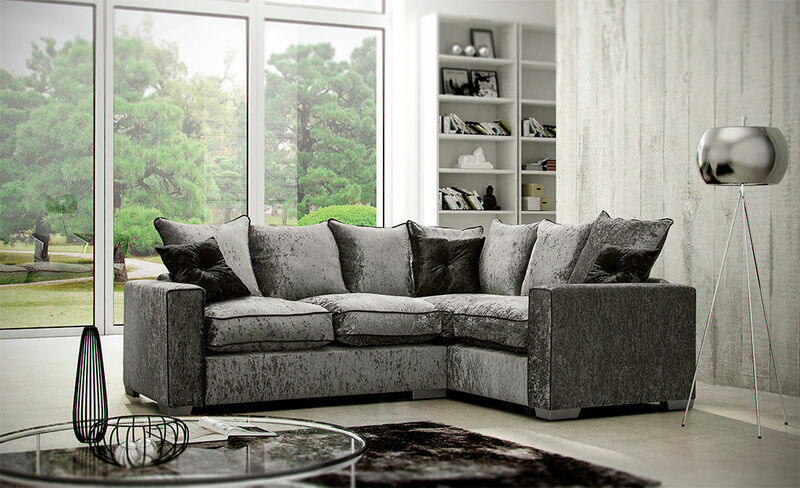 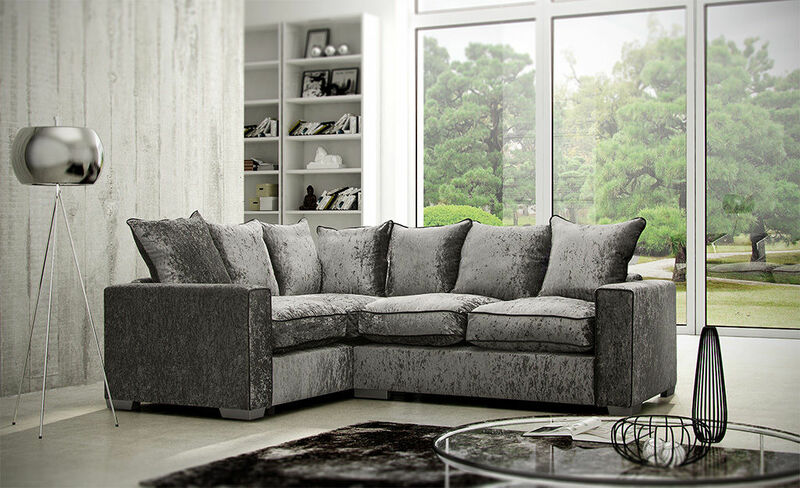 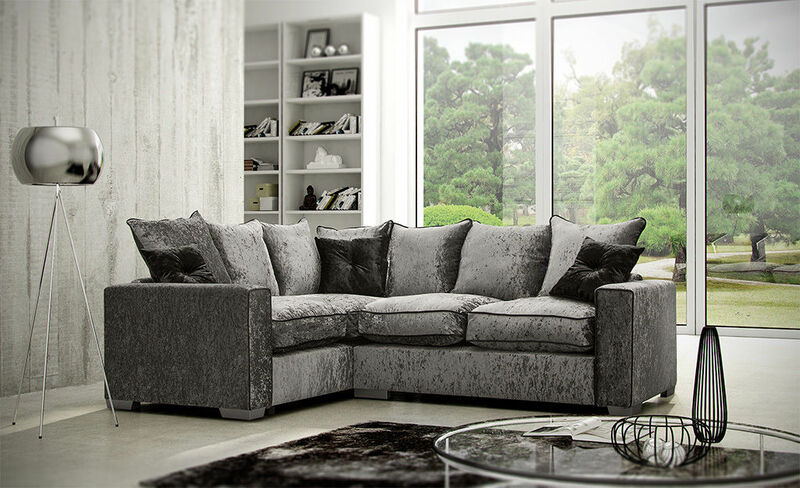 ​Our Luxury Thelma Crushed Velvet Fabric Sofa has a modern classic look that will grace any home with its unique combination of design and texture. 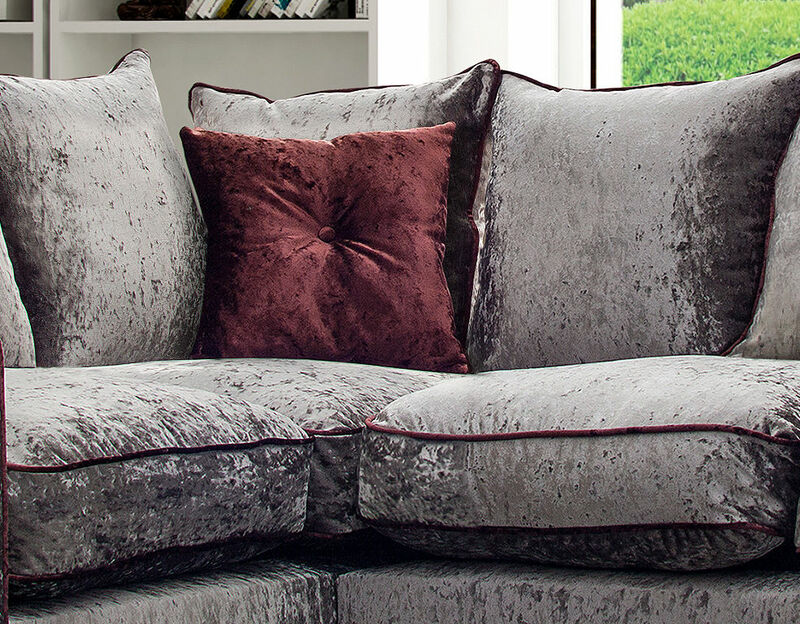 The soft velvet fabric makes the sofa both comfortable and stylish and is complemented by a number of accented scatter cushions. 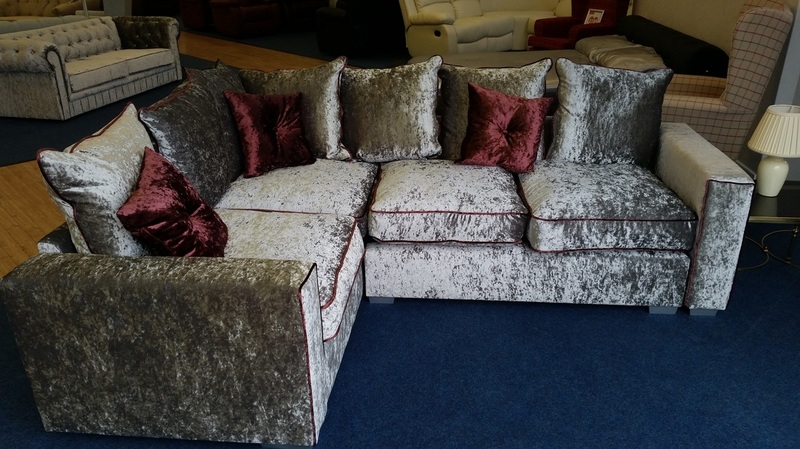 Please note that this listing is for a right hand which means the 2 seat section is on your right as you look at it. 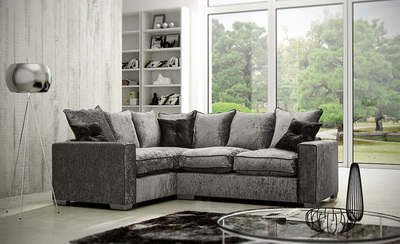 237 cm (L) x 180 cm (W) x 89 cm (D) is available in right or left hand and in other colours.